Sister Elizabeth Anne Corcoran, who was born at what is now Mercy Medical Center, received a portion of her education there and over nearly six decades of service became a face of the institution, died Dec. 5 at Stella Maris Hospice in Timonium. A Sister of Mercy for more than 65 years, she was 88 years old. Sister Elizabeth Anne received her nursing degree from Mercy Hospital School of Nursing in 1951; worked at Mercy Hospital from 1955 to 1958 as a floor nurse, instructor and supervisor; and after a stint in Atlanta returned to Baltimore for good in 1965. Over the last 63 years, Sister Elizabeth Anne served as assistant director of nursing, 1965-75; director of nursing, 1975-87; vice president of nursing; 1987-89; and then assistant to the president for hospitality. All the while, she resided at the hospital at the heart of Baltimore as it changed names and grew substantially. Both Mercy Medical Center and service were in her blood. According to an obituary provided by the hospital, she was the niece of Sister Mary Veronica, former head administrator of Mercy Hospital, 1936-41 and 1947-53. Among her seven siblings was the late Sister Mary Neil Corcoran, director of the Esperanza Center in Fells Point from 1990 to 2002. Her cousins include Mark R. Fetting, former CEO of Legg Mason and a longtime member of Mercy’s Board of Trustees. She attended the parish school at Ss. Philip and James, and Mount St. Agnes High School in Mount Washington. In addition to being a registered nurse, she earned a bachelor’s degree in nursing from Mount St. Agnes College, and in 1979 a master’s in healthcare administration from the University of Notre Dame. In December 2010, Mercy President and CEO Tom Mullen named “The Corcoran Café” in the new Mary Catherine Bunting Center in honor of Sister Elizabeth Anne. 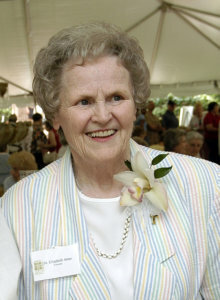 Sister Helen, who noted Sister Elizabeth Anne’s “friendship and working relationship” with her mentor, Sister Mary Thomas, former president of the hospital, and the institutional knowledge that came from keeping in touch with retired nurses and physicians. Visitation will be held at Mercy Medical Center’s McAuley Chapel Dec. 10, 10 a.m.-8 p.m. On Dec. 11, viewing will be at Stella Maris Chapel in Timonium at 9 a.m., with a funeral Mass at 10 a.m.